Chronic pain in America has reached epidemic proportions, with over 100 million people now suffering. Modern medicine has failed to produce a pill that stops all chronic pain. But it’s because there is no one simple answer. A multi-faceted approach using natural remedies can have a tremendous effect on the symptoms of chronic pain, so people can start living their life again. Chronic pain does not just cause pain for people; it affects their entire life. It disrupts sleep, causes emotional distress, decreases the ability to concentrate and thus work, affects interpersonal relationships, and is a huge drain on an individual’s energy level. Medical care for patients with chronic pain in the U.S. costs roughly $635 billion dollars annually. This includes people with chronic migraines, arthritis, back pain, nerve pain, etc. And yet with all this medical treatment, the suffering only continues to grow. This is the whole reason I geared my life towards natural wellness and herbal remedies: because these methods have positive effects, without all the harmful side effects that go with pharmaceuticals. So let’s get started with three branches of natural wellness: herbal remedies, lifestyle habits, and food. 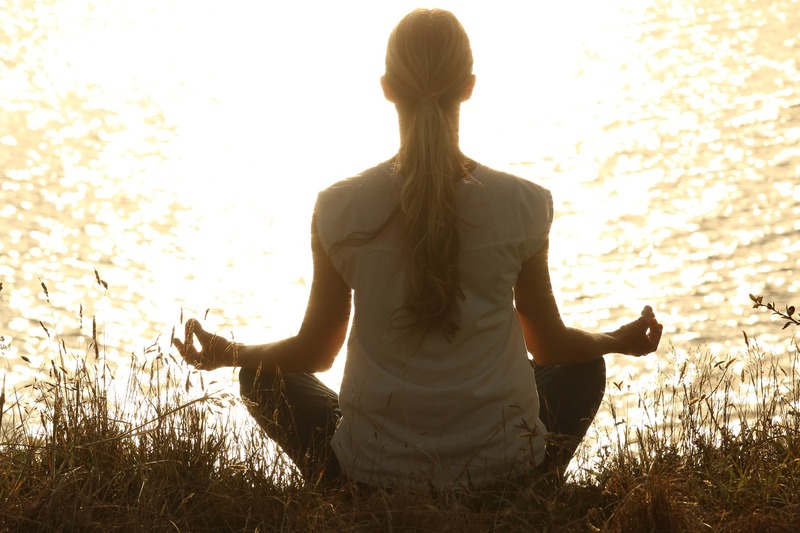 For each category, we’ll discuss three healthy options to help reduce chronic pain. Of course, check with your healthcare practitioner before trying any of these remedies. Herbal medications, in particular, can have serious side effects when mixed with pharmaceuticals. 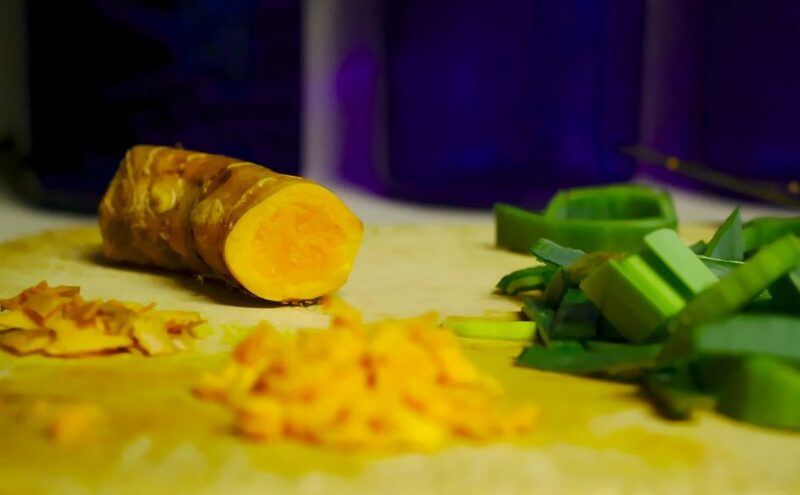 Turmeric – This colorful spice is the herb world’s superhero for reducing inflammation, a key factor in chronic pain. You can cook with it, add it to your soup, chile, curry, stir fries, roasted veggies, omelets, etc. Or you can simply take it in supplement form, 1-2 grams per day. The higher the dose and the longer this herb is used, the more this herb may affect digestion and circulatory systems, but low doses are generally taken without a problem. St. John’s Wort – An effective nerve pain reliever, St. John’s Wort can be taken long term to treat chronic pain. However, it is NOT to be mixed with other pharmaceuticals, so seek the advice of your healthcare practitioner before starting a St. J protocol. This herb can be taken in tea form, as a tincture, or as a homeopathic remedy (Hypericum Perforatum). Willow Bark – This herb has been used traditionally to treat osteoporosis, headaches and chronic back pain. Studies have shown it to ease pain and reduce inflammation, as well as reduce fevers and provide antioxidant support. 120 mg per day is a recommended dose but check with your doctor first. One of Willow Bark’s primary medicinal compounds, Salicin, is similar to the salicylates found in aspirin. Those with sensitivities to salicylates should avoid this herb, and people under 18 should avoid it as they would aspirin. I’ve noticed in my own life when my migraines were bad, they were at their worst when I was less active. Countless studies like this NCBI report have shown that daily movement, sweating, and aerobic exercise reduce pain. Some people might like going to the gym or running or cycling, but it doesn’t have to be that. Make it what you enjoy, personally. That’s the only way to keep a lifestyle habit. For me, I rebound, I dance, do yoga, walk and hike. But I also like to change it up, in the summer there’s more swimming and bicycling, I also like to lift weights. Whatever you do, make it fun, do it first thing in the morning if you can to set your day, and keep a journal if that helps to motivate you. Make exercise part of your lifestyle and then it’s easy to do it regularly. You know what I’m going to say: Stay hydrated! We all have heard this a million times but who really does it? You will after you hear the following – Dehydration aggravates chronic pain symptoms and 75% of Americans are currently running around dealing with some level of dehydration. How do you know if that’s you? The darker yellow your urine is, the more dehydrated you are. Shoot for a nice, almost barely negligible yellow. 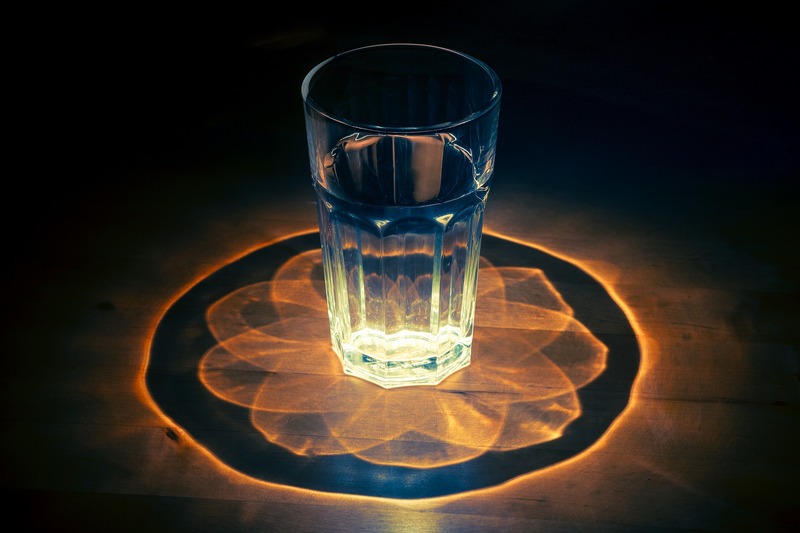 Now, you may think you are drinking enough already, but the truth of the matter is that most of us are walking around dehydrated at some level. The reasons for this include primarily cooked-food diets (where the water is cooked out of our foods), winter climates where the dry heat takes its toll, and our high-stress lifestyles. Who has time to drink 8 cups of water a day and make those extra trips to the bathroom? But folks, it works for chronic pain sufferers. Try setting out your 8/day on your counter for the day. Three filled water bottles or whatever it takes. Bring them with you, and plan accordingly. It may be easier to drink a lot when first waking up, or in the afternoon. However you play it, just make sure to get those 8 cups per day in your body. Once you do this, you will be ASTOUNDED at the additional, positive side effects, including my all-time favorite: improved MOOD. In my own personal experience, chronic pain starts when I re-introduce gluten into my diet. Sometimes, during a hyper-busy spell when I can’t seem to find time to make meals just for me (I also have 3 kids to feed that don’t always take a shine to my ultra clean, vegan diet), I end up eating gluten. That’s when I start getting achy all over. There are two major ways in which gluten affects chronic pain. First, it leads to inflammation which causes and worsens pain. 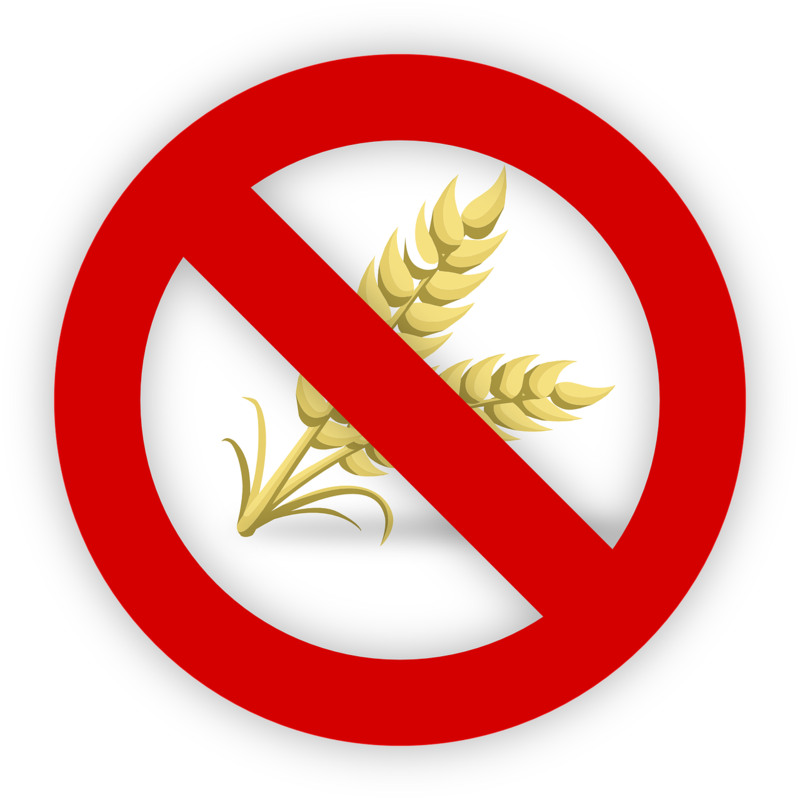 Secondly, gluten affects your neurological system increasing the chances of migraines and nerve pain problems. Try to include 2-3 green foods into your diet every day. This can be anything from broccoli to asparagus, to mixed greens and salads, to green beans and bok choy. Put them in your soups, smoothies, dips and pestos, or eat them lightly steamed with a bit of lemon. These foods (even the lemon) are all highly alkaline (remember acidity worsens inflammation) and they all contain anti-inflammatory phytonutrients. Get them in every day. I’m talking about blueberries, strawberries, blackberries, pineapples, oranges, melons, cherries etc., etc. Vitamin C rich fruits decrease inflammation in chronic pain sufferers including arthritis patients. 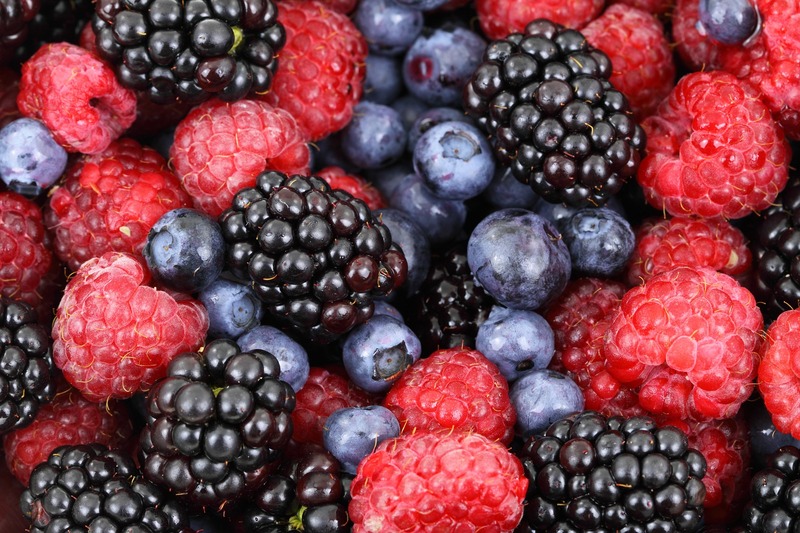 Anthocyanins, found in bright colored fruits like berries, also have a significant anti-inflammatory effect. As an added bonus, these colorful foods also help to neutralize the inflammatory effects of a high-fat, high carb diet. Try adding 1/2 cup to 1 cup per day. Around my house we love blueberries, I eat them every day in my morning smoothie and the kids like to eat a bowl of the frozen berries warmed up slightly in the winter for a before-school dose of awesomeness. Chronic pain can be helped and the answers are closer than we think. Lifestyle and diet, with additional support in the form of herbal remedies, can make a difference in the life of a chronic pain sufferer. For more information and tips for live well naturally, subscribe to this blog and check out my line of natural wellness books.